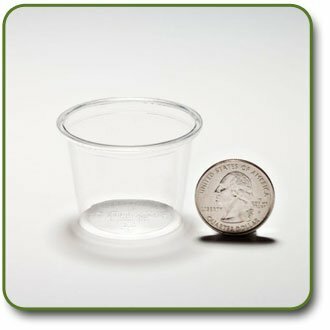 Clear Design - DURABLE disposable cups made from Eco Friendly PLA plastic - made from corn. PORTION CUPS can be discarded with food waste as part of a community composting program. If you have any questions about this product by GreenGood, contact us by completing and submitting the form below. If you are looking for a specif part number, please include it with your message.